Join Rachel for her amazing Fertility Yoga pregnancy preparation workshop. 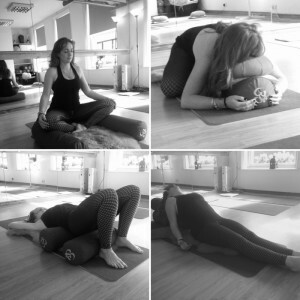 Rachel who along with being a Pre Natal and Post Natal Yoga Specialist, also holds a Diploma in Fertility Yoga Teacher Training. Fertility Yoga facilitates you to unwind, relax, release and let go. Classes are infused with gentle, restorative and receptive poses, specifically to increase circulation to your reproductive system. We use plenty of props and there is no previous yoga experience necessary. We focus on meditation, breathwork and positive visualizations. You will feel strong and relaxed in body and mind. Whether you want to prepare your body for natural conception or you’re undergoing ARTs, there are safe and effective yoga practices for every part of your cycle and journey. Fertility Yoga Helps Prepare Mind, Body and Spirit for fertility and pregnancy. Investment: €30, €10 deposit, €20 cash on the day please!